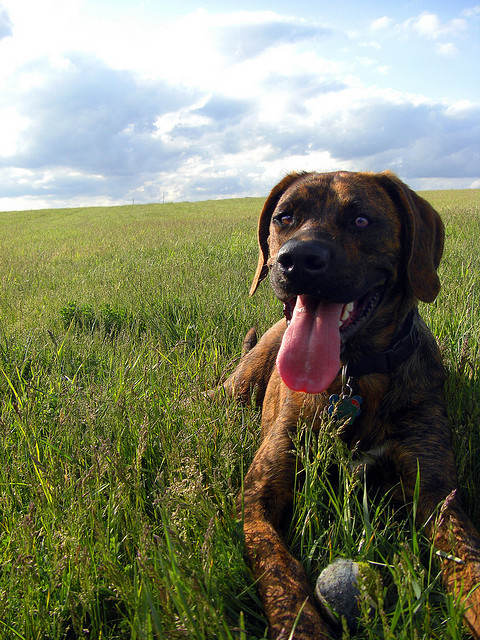 Plott Hound Cash; photo by Dimmerswitch on Flickr (noncommercial use permitted with attribution / share alike). Developed in the mountains of North Carolina by German immigrant Jonathan Plott around 1750 as a wild boar hound, the Plott hound is a legendary hunting dog known as a courageous fighter and tenacious tracker with a spine-tingling, bugle-like call. The Plott hound is athletic, muscular, and agile in appearance with a smooth, dense coat in almost any shade of brindle (sometimes with small white patches on the feet, chest, and underbelly). Plott hounds are eager to please, loyal, intelligent, and alert. They are aggressive, bold, and fearless hunters described as "the ninja warriors of dogdom. 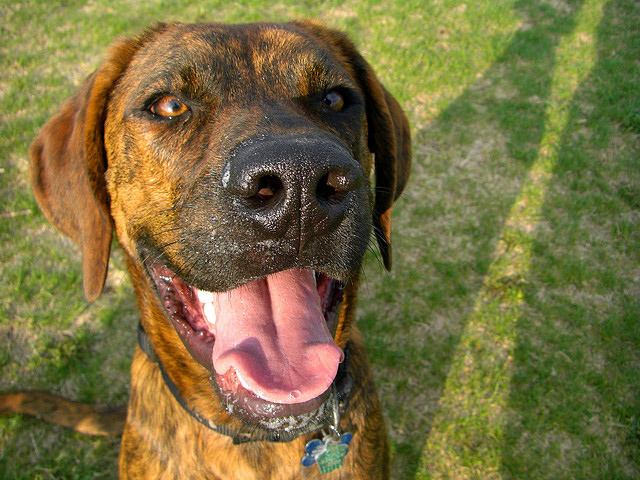 Plott hound Cash and ball; photo by Dimmerswitch on Flickr (noncommercial use permitted with attribution / share alike).